Xbox Game Pass might be offering all new first party titles but next month's Xbox Live Games With Gold line up has a few heavy hitters of its own. This AAA medieval brawler only launched in February of last year, making it a fairly recent inclusion for Games With Gold. 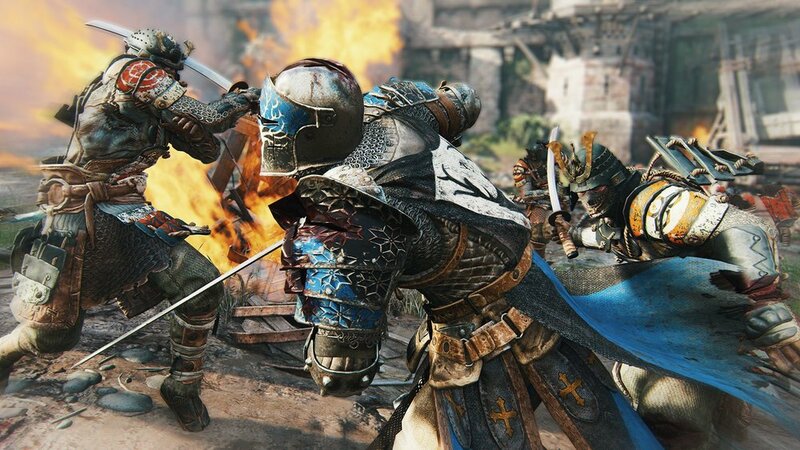 For Honor features a unique melee combat system where vikings, knights, and samurai attack and block from three different directions. If you're a fan of Nintendo's Punch Out!! series, you'll find a lot to love here. Especially now that Ubisoft has rolled dedicated servers for smoother online versus matches. The 'Marching Fire' introducing a new Chinese faction will launch this October. Every even year brings us yet another entry in the quirky arcade Forza Horzion racing series. Unlike it's more simulation focused sister series, Horizon 2 allows players to freely traverse Southern France and Northern Italy, taking on chaotic speed and drift challenges along the way. This is also a not so subtle reminder that Forza Horizon 4 launches this October. The most divisve entry in the franchise, Dead Space 3 introduced co-op multiplayer and action set pieces to the sci-fi horror series. Developer Visceral Games went on to release Army of Two: The Devil's Cartel and Battlefield Hardline, before Electronic Arts closed the studio during development of a Star Wars project. Causing Dead Space 3 to be more fondly received today than it was in 2013. The original Epic Mickey was an average game. But it's admirable devotion to animation history and Wii exclusivity elevated it's profile. Not so with Epic Mickey 2. Though a boost in visuals and a handful of musical numbers did better resembled the Disney source material, and co-op play was introduced, this sequel feels more like a continuation of dated platforming than a full fledged sequel.